In 2017, Tom Robinson celebrated forty years of his hit single ‘2-4-6-8 Motorway’. He announced a show at London’s legendary 100 Club to mark the occasion. The show would feature the ‘Power In The Darkness’ album played in its entirety, joined by associated singles. That gig sold out in under an hour. A second show was announced and that sold out in a day. A third achieved the same feat. 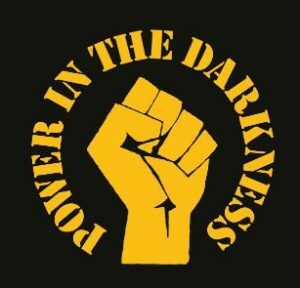 In 2018, ‘Power In The Darkness’ also turned forty. An Autumn show at Shepherd’s Bush Empire was scheduled to replicate those 100 Club shows for a bigger crowd. During the first half of 2018, it has felt as if Real Gone has been a semi-permanent resident at the Shepherd’s Bush Empire. We’ve seen fantastic gigs by The Wonder Stuff and Carter USM’s Jim Bob; an enjoyable and nostalgic performance from Skid Row; a solid offering from Ned’s Atomic Dustbin and a woeful car-crash from 80s melodic rock legends Night Ranger. Tonight, it’s the turn of The Bluetones – a fantastic band with strong ties to the days of Britpop. First, though, we’re at The Defector’s Weld for a pre-gig drink with other fans. The pub’s wooden floor and fishy aroma gives the place a more traditional feel than the more popular nearby Brewdog (a venue with overpriced beer, an inconvenient lack of tables and an offensively smelly barman). It’s the perfect place for a gathering and a wonderful hour is spent. A new friendship is formed and other acquaintances made; so good to put faces to familiar Twitter handles. It’s sometime after 10.20pm and the downstairs of the Shepherd’s Bush Empire is completely rammed. There’s barely any room to move. It didn’t seem this busy when Carter USM‘s Jim Bob played his brilliant sold out show here just a week earlier, but that’s probably due to more people being in the balcony. The majority of people may be downstairs for this second London double headliner between The Wonder Stuff and Ned’s Atomic Dustbin tonight, but that has the effect of adding plenty of atmosphere. Whatever the crowd logistics, it’s impressive the Stourbridge lads can still pull such a huge crowd on their second night in such a large venue. t’s been an uneven experience at Shepherd’s Bush Empire tonight. Both Toseland and Bad Touch have offered enjoyable support slots, even if hampered a little by bad sound. Toseland, in particular, have shown they really know how to fill a half hour effectively, with frontman James Toseland coming across very jovially. He’s so likeable that it doesn’t matter or not whether you’re familiar with the material, you’ll have a good time regardless. The evening’s first credited headliner, Night Ranger, were largely awful: not so much classic Night Ranger of old as the Jack Blades Show with support from Kelly Keagy. Their set was ruined further by the worst sound we’ve encountered at a large venue for a number of years…if not ever. This evening at Shepherds Bush Empire has been billed as a double headline show between Night Ranger and Skid Row. However, it isn’t long after Night Ranger take the stage, it becomes clear that the event is nothing of the sort. Night Ranger’s set design is limited to a few extra Marshall amplifiers which are placed in the middle of the stage, rather than at the back. Kelly Keagy’s drumkit looks awkward, placed on stage left (audience right) and facing towards the middle rather than facing the audience. The band, in turn, are only given about three quarters of the stage to work with. Somewhere behind the amps, Skid Row’s drum kit sits in wait. 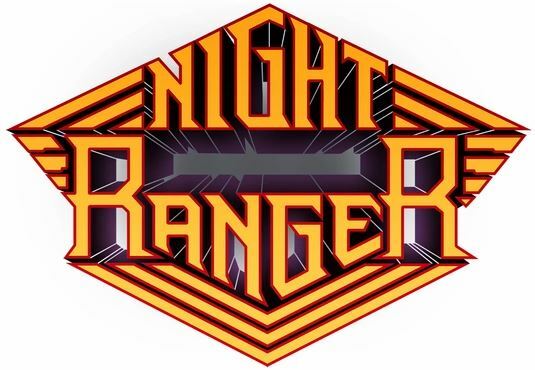 So much for “double headliner”: Night Ranger have been given a support band’s set up – and that’s before we get to the massive issues with the sound.